Word Textron .NET component is an advanced solution for .NET (C#, VB.NET) designed to create industry standard DOC, DOCX and RTF documents dynamically with API calls. The component allows to build sophisticated layouts with a powerful set of easy to use classes and functions. 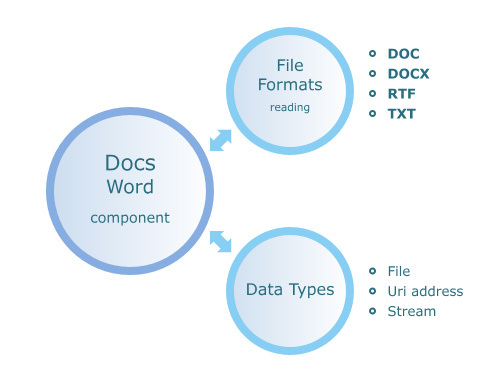 With Word Textron .NET, developers can easily read, write and convert Word documents. 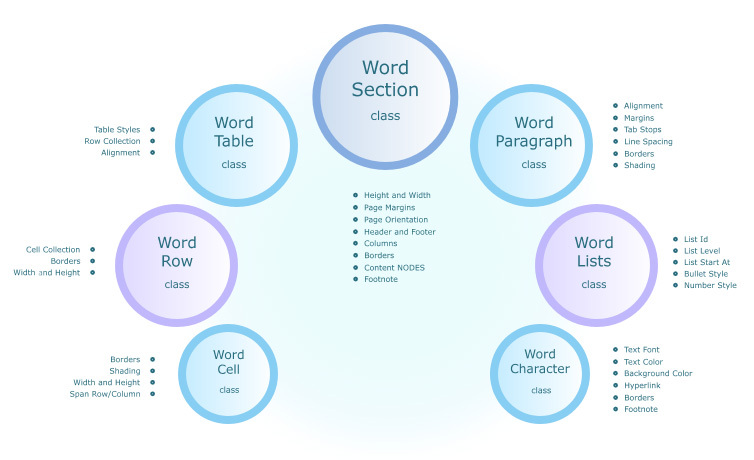 The component can read Word template and fill it with data from database. Word Textron .NET offers API functions to set up text font, text color, shading, alignments, indents any many more.The Word component allows to insert hyperlinks, comments, footnotes in the Word document, create and edit sections, paragraphs, columns, lists, tables in such Word documents as DOC, DOCX, RTF. Word Textron .NET component requires only .NET Framework and is many times faster than Word automation objects. The code of Word Textron .NET component is fully managed and works under .NET Framework started from 2.0 version. Developers can create C# / VB.NET applications or deploy website on servers with medium-trust level without needing to rely on Microsoft Word. The Word To Html .NET is an extension of the Word Textron .NET component. This componet contains all features needed to export Word to HTML and show it in the internet browser.